6 volumes, about 3 600 pages, millions of copies, translations into several dozen languages. Knausgård’s monumental novel about his struggle with the everyday is literally devoured by readers and passionately debated by literary theorists. 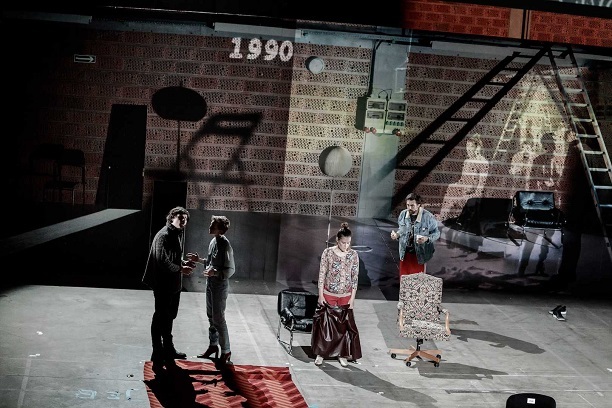 Director Michał Borczuch and the actors from this Warsaw-based theatre bring a gripping play on the human being’s longing for normalcy and ordinary life. This production is one of the most acclaimed and discussed works of the season in Poland. PROFI - 14€ - theatre professionals and journalist. Theatre professionals and journalists are entitled to a special PROFI CODE for the discount. You can request a code by email (guests@nitrafest.sk, tickets@nitrafest.sk). You will need to fill in the profi code in the last step when ordering tickets.